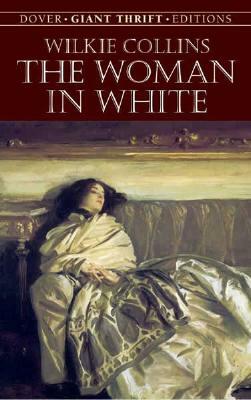 Mistaken identities, locked rooms, madness, and romance--these are a few of the ingredients the author (one of the most successful and popular Victorian writers) used to inspire "the 'creepy' effect, as of pounded ice dropped down the back," that, according to one of his friends, was Wilkie Collins's aim in writing The Woman in White. Popularly regarded as one of the author's finest works, and widely copied by other writers, this thriller was the prototype for a whole new genre of fiction: the "sensation novel." A scheming nobleman, a beautiful heiress, and, of course, the enigmatic woman in white--a mysterious figure confined to an asylum for the insane--are the featured players in an intricate, compelling story that was acclaimed by Henry James and T. S. Eliot. An instant success when it first appeared in 1860, the riveting tale has continued to enthrall readers ever since.